I retired in 2015 as the Wild Ones first Executive Director in order to start my third life adventure, and I am looking forward to sharing it with you through this blog. My first life adventure gave me a strong background in construction and real estate, but as a long time gardening enthusiast, my second adventure has been the most satisfying. 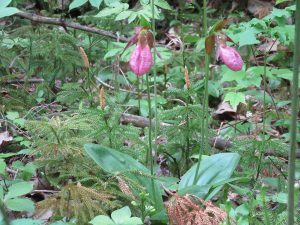 As I begin my third life adventure as a retired person and a blogger, my husband John and I will continue to manage a restored prairie and a restored woodland as part of our home. We feel privileged to have mature Bur Oaks and Shagbark Hickories as part of our landscaping. 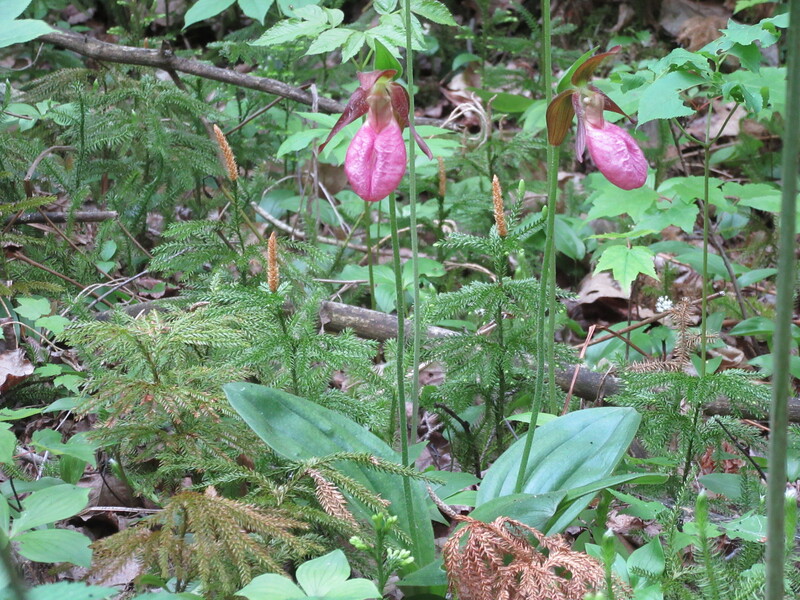 Pink Lady Slippers (Cypripediium acaule) grow in several locations at our hunting property. As part of our family heritage, my brothers and I also own an 80-acre White Cedar swamp in Wisconsin we use for hunting. During this third life adventure, I hope to spend more time in this little spot of heaven. My love of nature comes from a long line of ancestors. Soon the hunting property will be in its fourth generation of ownership. Here are some of the organizations I belong to, and I highly recommend your participation in these and similar organizations. Wild Ones Natural Landscapers Ltd.
Summer view of the WILD Center’s backyard. Degree from the University of Wisconsin ‑ Green Bay in Organizational Management. 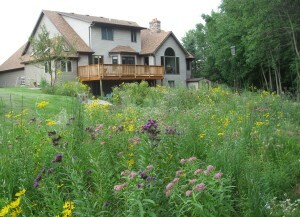 Background and work experience in residential and commercial real estate and construction and native plants and natural landscaping. My proudest achievement while Executive Director of Wild Ones is developing their first permanent headquarters called Wild Ones Institute of Learning and Development (WILD Center). It is a 16 acre site — mortgage-free — with all three main ecoregions: upland, forest and wetland. And Lorrie Otto agreed that it was the prefect showcase for the Wild Ones mission. 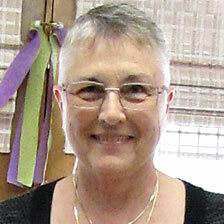 I retired from Wild Ones in September 2015. It’s taken a while to get the long hours of work and the tight scheduling of my time out of my system, but I am happy to report as of December 31, 2017, I closed my company for good. I plan to continue writing this blog as a reflection of my past experience and my future learning adventures, and perhaps do a speaking engagement from time to time. And who knows — maybe someday I actually will write that book I’ve been talking about for so many years! Besides being very concerned about our environment, I am also very concerned about equal rights for all. Both causes sometimes force me to get on my peach crate to share my thoughts.